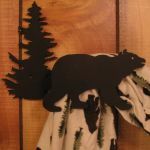 Decorate your home, cabin or lodge with these “up north” theme curtain hooks. 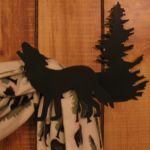 Individually hand crafted in Michigan, the iron curtain hooks are available in choice of bear, wolf, or pine tree to complete your up north decor. Custom orders may be available by our independent artisan.